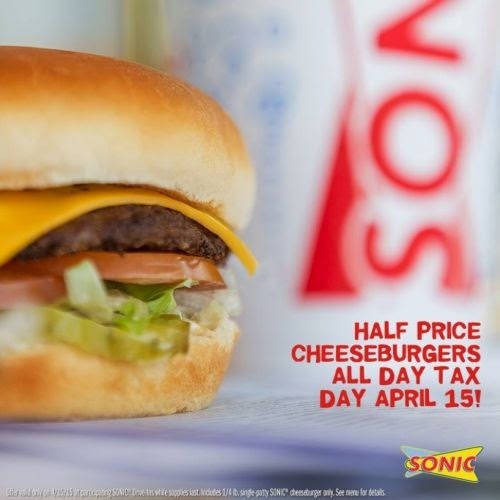 Get your Cheese Burger @ Sonic on Tax Day April 15, 2015 for half price! Click the link below to go to the Sonic website to get the details. I love their Burgers yum!